Imperial Blue was modeled after a porcelain vase created during the Yung Lo reign of the Ming dynasty. Portraying traditional strength and wisdom, this Caxton basin displays a Chinese dragon rendered in magnificent detail. The straightforward beauty of the versatile Intaglio drop-in sink widens your interior design options. Its spacious oval basin features a centered drain and gorgeous rolled rim. Customize the look with a wall- or counter-mount faucet of your choice. Born 16-inch Dual Mount Bathroom Sink in Pure Solid Copper The Born copper sink by Sinkology is artfully handcrafted from pure solid copper. 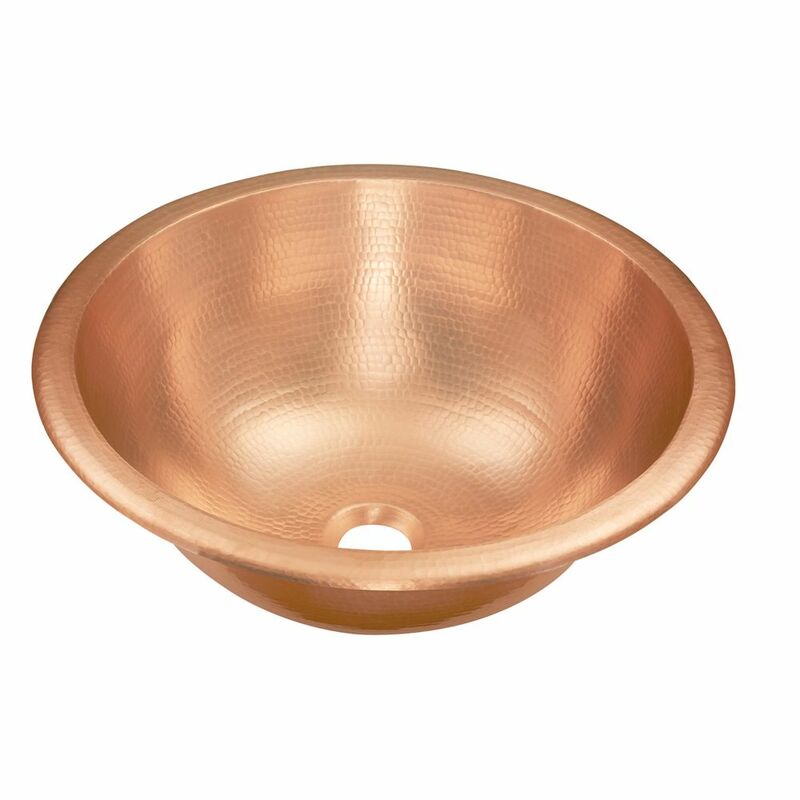 Naked pure copper sinks are maintenance free and will age naturally with use. These copper sinks can be polished to new anytime. With hassle free installation and effortless care, a copper sink from Sinkology is designed to fit your lifestyle and be a focal point of pride for your home. This naked copper sink features our Dual Flex rim making installation easy and flexible, can be used as an undermount or drop in. This true work of art comes with a limited lifetime warranty. Born 16-inch Dual Mount Bathroom Sink in Pure Solid Copper is rated 5.0 out of 5 by 1. Rated 5 out of 5 by Sparky from copper bathroom sink We're very pleased with this solidly built sink. I purchased the bright copper model and darkened it with liver of sulfur and a commercial green patinating chemical. I routed a 1/8" deep groove (barely larger than the O.D. of the sink) in a solid cherry counter top, caulked the groove and bedded the sink. The mounting rim is true to round and flat which made mounting much easier. Since there is no overflow you need a drain made for a vessel sink.